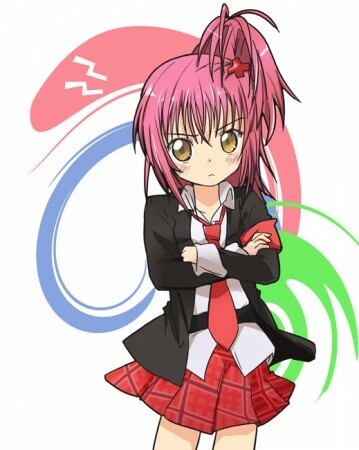 Cool and Spicy » Shugo Chara! There are some anime that match up so perfectly with your preferences that they seem flawless. Of course, this varies with each person’s personal opinions and preferences. Some people like action oriented shounen, others Gundam-like war epics. 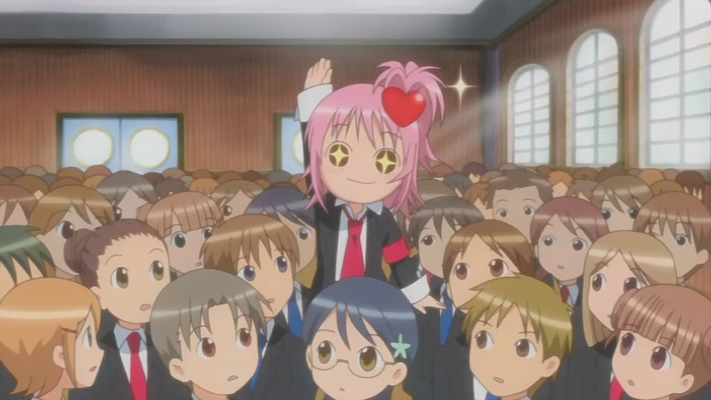 For me, Shugo Chara! is one of those series. The perfect mix of the themes I enjoy the most :) The series itself would most comfortably fit into the “mahou shoujo” genre. Despite Shugo Chara! being quite kid-friendly, it actually has more depth than most other mahou shoujo anime. 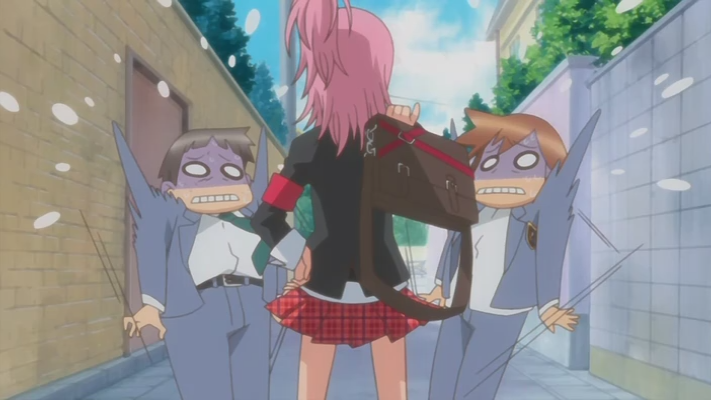 Hinamori Amu has a problem. She lacks confidence and instead of showing her true self around others, she acts tough and earned the reputation as a “cool and spicy” bad girl. The problem is, that’s not at all her true character and she wishes she could be more honest about herself. After entering a new school, Amu hopes to change her image, but quickly finds herself portraying the tough girl once again. Amu goes home after the first day of school depressed. She thinks that she is a girl with multiple characters and wishes she could be more like her true self. 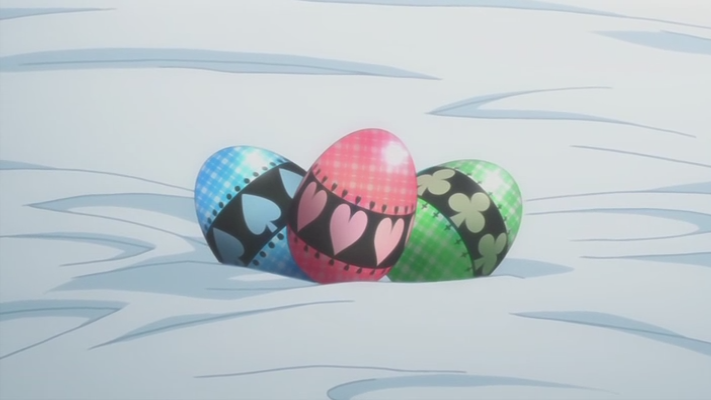 The next morning, she awakes to find three mysterious Eggs in her bed. Frantically searching her health textbook, Amu is confused about the origin of the three eggs. Amu takes the eggs to school where the special student council, the Guardians, notice she has them. Hotori Tadase, the king’s chair, approaches Amu but before he can ask her about them, Amu brushes him off rather coldly. Immediately regretting her actions, Amu storms off. 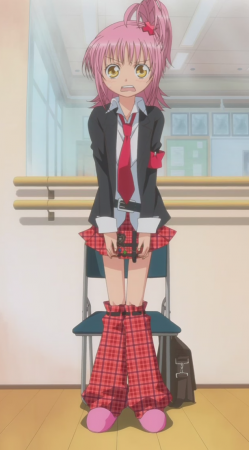 During the school entrance ceremony, one of Amu’s hidden eggs performs a character transformation on Amu and causes her to make a love confession to Tadase in front the entire student body. Thoroughly embarrassed, Amu runs off until she reaches a building construction site and accidentally falls into a hole >_<. While trying to escape the hole, one of the eggs hatches a shugo chara who tells Amu to fly out. 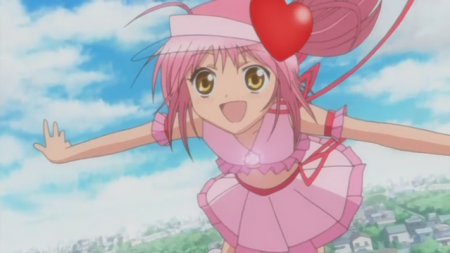 Although Amu insists that she cannot fly, the shugo chara performs another character change and Amu leaps into the sky! 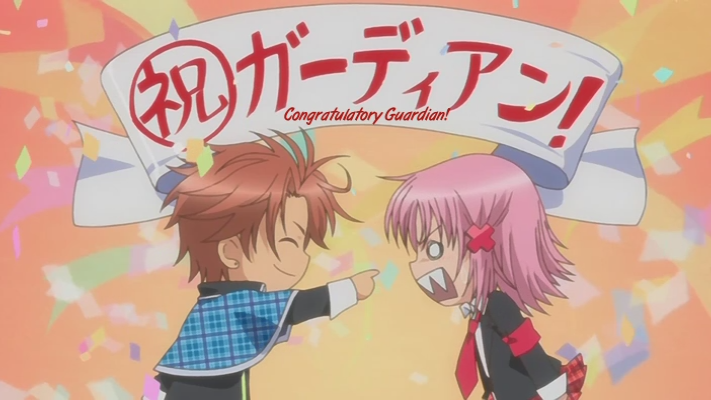 The Guardians invite Amu to join their group. Amu initially rejects the offer because she doesn’t want to wear the Royal Cape. 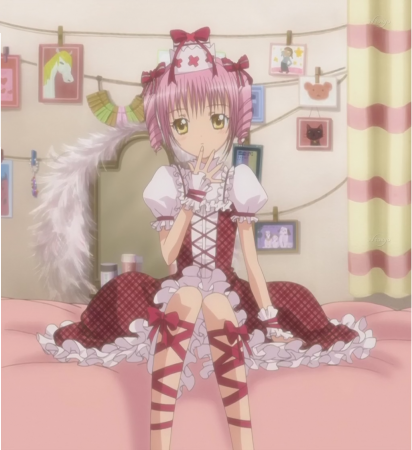 Once she encounters a X egg and performs a character transformation with her new Shugo Chara to purify the X egg. Seeing her transformation, the Guardians insist Amu joins as the new Joker role to hunt down more X eggs. Amu reluctantly accepts and the fun really begins. The show itself is quite hilarious at times with Amu trying to both put on a cool facade and be herself at the same time. 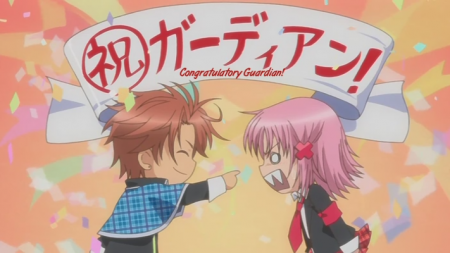 The antics of the shugo charas also provides lots of laughs. Of course, the series isn’t entirely comedy and has its more touching moments as Amu and the Guardians fight to purify the X eggs. I would compare Shugo Chara most closely with Cardcaptor Sakura, another of my all-time favorite anime. Both have strong lead characters and both have solid stories and characters. 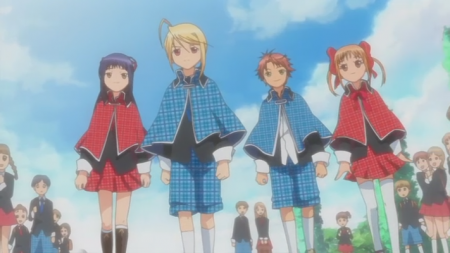 While some people may not like the “monster a week” approach, I think it works very well in Shugo Chara as a well-defined background is given for each arc and character. I almost forgot to mention how catchy the OP/ED songs are too. They have become some of my favorite anime songs :). If you liked Cardcaptor Sakura, mahou shoujo, or just want to enjoy a good, fun anime, Shugo Chara should be on your list. Definitely recommended! I rilly like the pictuers .all though thepictuer with Amu wharing the glasses was a little weard.but other than that the pictuers are cool!